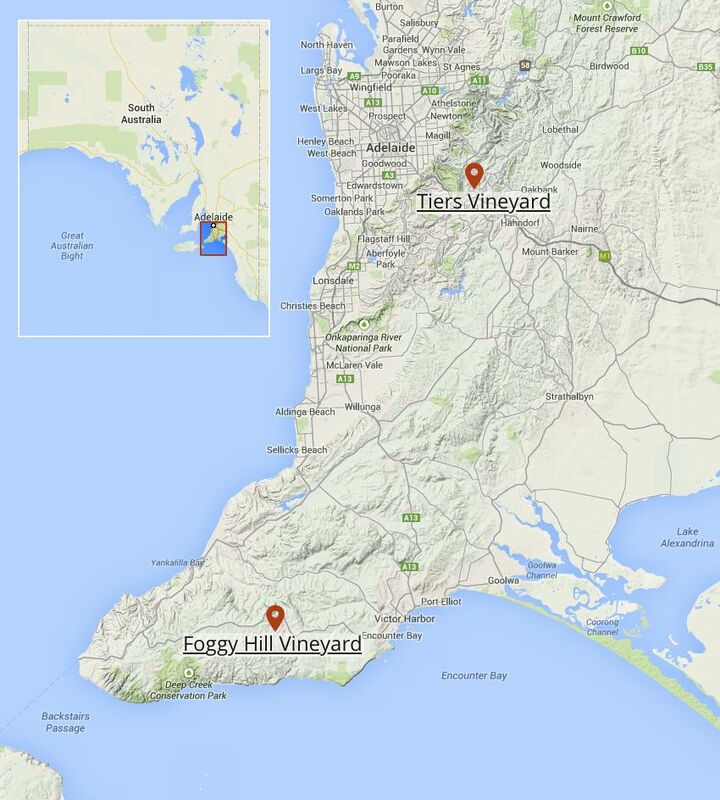 The Foggy Hill Vineyard is on a northwestfacing slope at 300 to 350 metres (ASL) at Parawa, the highest point of the Fleurieu Peninsula half way between Victor Harbor and Cape Jervis. 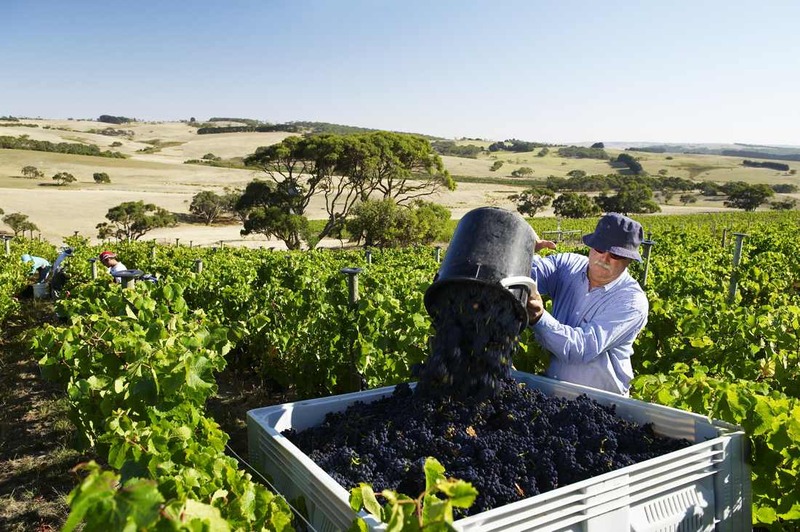 The soils are derived from the Tertiary era (67ma) remnant lateritic plateau of the Fleurieu Peninsula and include outcrops of ironstone (ferricrete), which litter the slope beneath the vines. These ironstone deposits are the result of the deep weathering of the underlying meta-sandstones of the Back Stairs Passage Formation, Cambrian era (570ma) sediments of the Kanmantoo Group. The steep slope of Foggy Hill Vineyard ensures that the soil is of moderate depth and free draining containing a jumble of the ironstone eroded from the outcrops. These are ideal viticultural soils and particularly for the very fastidious Pinot Noir variety. The climate of Foggy Hill Vineyard is very maritime. The Great Southern Ocean just 8 kilometres to the south keeps the winter warm and the summer cool. Bud burst is early in September and the crop is harvested in the middle of March. During this 7 month growing season the heat summation is only 1134.7ºC days, which is even cooler than Piccadilly at 1172ºC days, and there is rarely a hot day although the nights are warm. The average diurnal temperature difference for the growing season is a low 8.45°C and the 3pm humidity is high at 64%. 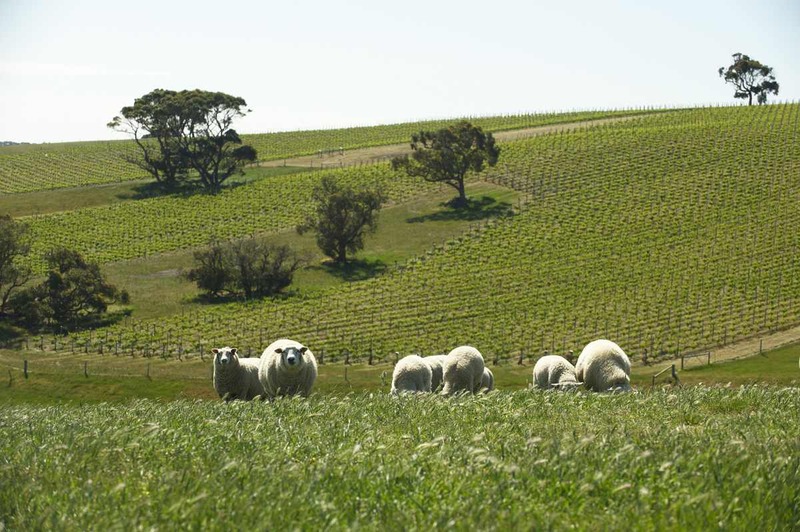 When the Croser family purchased Maylands Farm at Parawa on the Southern Fleurieu peninsula in 2003, they did so with the sole purpose of growing the finest “sea air, grass fed” prime lambs. Despite best intentions, Brian Croser ranged Maylands Farm kicking over the rocks on north facing slopes. He quickly developed a sense that there were some ideal viticultural sites. A check of the climate data confirmed the surprising fact that Parawa was nearly as cool as the Piccadilly Valley. The big difference between the two locations is that Parawa has warmer winters and cooler summers and that there is a very low diurnal temperature difference at Parawa (8.5°C) versus the 11.8°C at Piccadilly. Parawa has lower maximum (daytime) temperatures than Piccadilly. The shift forward in growing season at Parawa also led to a recalculation of the growing season heat to the months of September to March for Parawa versus October to April for the later Piccadilly Valley. Again, and surprisingly, Parawa on this basis was slightly cooler and more moderate than Piccadilly and therefore an ideal place for Pinot Noir. By Christmas of 2003 Foggy Hill stage one had been planted on rootstocks with the Dijon University (Bernard) Pinot Noir clones 114, 115 and 777. The vineyard was planted very low to the ground (0.5m) and on an intensive vine spacing of 1.5m X 1.5m or 4,444 vines/hectare. In 2006 a further two hectares followed the first two hectares of planting. The first crop of Foggy Hill Pinot Noir was harvested in mid March 2007. Maylands Farm lambs graze in the paddocks alongside the Foggy Hill Vineyard in the cool humid air from the Great Southern Ocean visible to the south. The joy of discovering a new “terroir” is observing the site define itself in sometimes surprising ways. Despite 950mm of annual rainfall and the cool, moderate temperatures and high humidity, the wind and the low to moderate fertility soils at Foggy Hill Vineyard conspire to establish low to medium viticultural capacity. Therefore the vineyard can only properly mature the shoots and grapes of 67,000 buds/hectare versus 90,000 shoots/hectare at Piccadilly. 67,000 buds/hectare equates to 15 buds/vine spaced ideally at 10 shoots/metre. Each shoot carries small bunches of Pinot Noir grapes weighing about 80 grams total giving1.2 kilos/vine or the very modest yield of 5.3 tonnes/hectare. This naturally small crop balance is ideal for Pinot Noir to get the best expression of varietal character with significant wine texture and colour density. A truly significant feature of the Foggy Hill site is the warm ocean influenced nights. This, combined with the warm north slope and the heat retaining ironstone rocks, keeps the night temperature of the maturing grapes on the little low vines at an ideal temperature so that they can continue to turn sugar produced in the sunlight of day into colour and flavour at night as well as during the day. The consequence of warm night conversion of sugar is earlier development of flavour and colour maturity at lower sugars and hence lower alcohol potential in the wine. Purchased as a site for the finest ‘sea air, grass fed" lambs, Maylands Farm has the potential to produce delicate and ethereal Pinot Noirs of substantial mouth-feel and colour at moderate alcohol levels from its Foggy Hill Vineyard. Tapanappa is dedicated to exploring the potential of the very exciting Foggy Hill Pinot Noir terroir. The Foggy Hill Vineyard Pinot Noir is typically hand harvested in the middle of March. 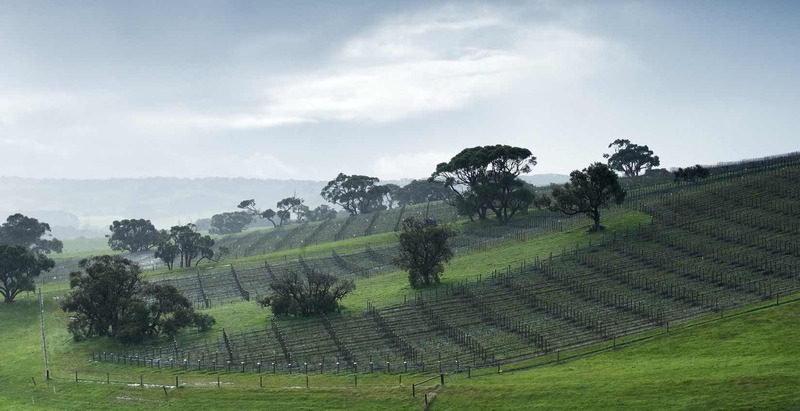 Parawa, on the heights of the Fleurieu Peninsula, is only 8 kilometres north of the Great Southern Ocean and the cool maritime influence and moderate night temperatures initiate early bud burst and ripening. The typical natural yield from the vineyard is a meagre 4.5 tonnes/hectare. The tiny ebony bunches of Pinot Noir are selectively hand harvested into 0.3 tonne bins and transported to the Tapanappa Winery 1 hour to the north in the Piccadilly Valley. The fruit is chilled to 5°C for 24 hours in cold store and is crushed and partially destemmed into 1 tonne fermentation tubs. 8% of stalks are retained at the crusher. The must is allowed to “cold macerate” for three days before the onset of fermentation. After the three-day “cold maceration” the 1 tonne tubs of Foggy Hill Pinot Noir are seeded with our vineyard selected yeast strain and malo-lactic bacterium. The fermentation begins slowly over the first 3 days and the mash is only plunged by hand once/day. As the temperature rises the tubs are hand plunged twice/day and take 10 days to ferment to dryness. The peak of fermentation lasts 3 to 4 days and temperatures up to 35°C are achieved. Once fermentation is complete the tubs are sealed down to allow post fermentation maceration of the skins for 7 days. 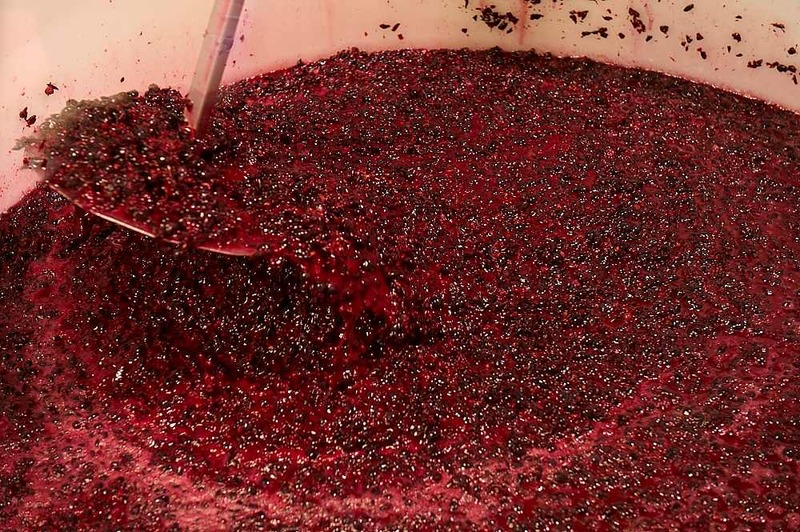 The total time on skins including “cold maceration” is approximately 20 days. The contents of the tubs are transferred by hand to a small press and gently squeezed to 1 bar of pressure. The dry wine is immediately gravitated to barriques with all lees. The barriques are all French oak from the Centre of France and the Vosges Forest, 30% are new and the balance 1 and 2 years old. The Pinot Noir red wine remains in barrique undisturbed from the beginning of April to the end of malo-lactic fermentation in August. The wine is racked off gross lees and given a dose of sulphur dioxide before being returned to barrique for further maturation. After 8 months in oak the Foggy Hill Pinot Noir is clear racked from barrique and given an eggwhite fining, the equivalent of 2 egg whites/barrique. The brilliantly clear Foggy Hill Pinot Noir is racked to bottle without filtration.